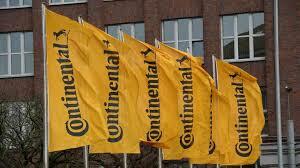 PUNE (CHENNAI): Technology company Continental celebrated the groundbreaking of its greenfield plant in Talegaon, Pune, dedicated to its powertrain business. Around Rs 240 crore is planned to be invested in infrastructure and buildings. The construction phase has already been initiated. Production start is scheduled for early 2020 for various drivetrain products, including engine management systems, sensors and actuators as well as fuel and exhaust management components for passenger cars, two-wheelers and commercial vehicles. During the ceremony, Klaus Hau, executive vice-president, Powertrain Components Business Unit, Powertrain, said, “India plays a central role in our global growth strategy. Due to the increasing stringent emission legislation in the automotive market, including two-wheeler market, we are expecting a growing demand of low-emission technologies. Through this investment, we are expanding our involvement in this important market, thereby ensuring that we will better satisfy the customers’ growing demand”. The Powertrain group of Continental offers efficiency solutions for the conventional combustion engine, the exhaust after treatment as well as for the broad field of vehicle electrification.